the largest being 28 ½ inches, which was caught by an excited 10 year old from New Richmond Wisconsin, Greg Weninger. Congratulations on the great catch! I think we might just have another future Lake of the Woods regular on our hands after this weekend. 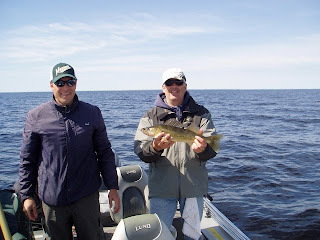 If you have the opportunity to fish Lake of the Woods, dont miss out! I stated this in the last blog, but it must be said again. 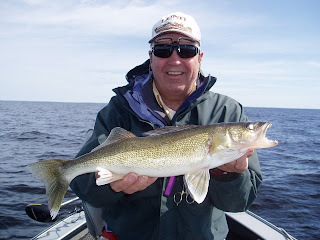 Walleye season is here, and there should be no other place to go than Lake of the Woods and Baudette, MN, which is know by millions as the Walleye Capitol of the World! 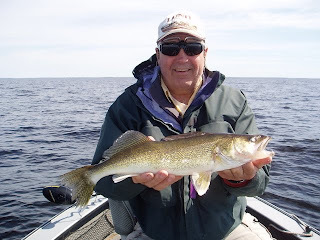 With a bountiful supply of Walleye, Sauger, Perch, Northern Pike, and Small Mouth Bass, Lake of the Woods is like a massive magnet pulling anglers in from thousands of miles around every single day. If you are one of the few that havent had the chance to experience our tremendous fishery, please give us a call and wed love to show you around our backyard. 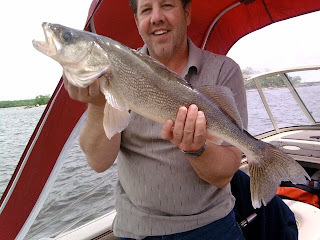 We love to help people experience the feeling of hooking into there own trophy fish on Lake of the Woods. Every time I hear a new fishing tale, it gets me just as excited as the person telling it. 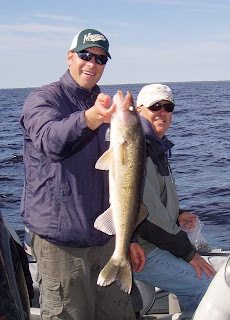 I love Lake of the Woods and all of its tremendous beauty, come share that with us this summer! 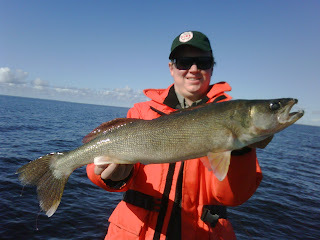 nice 28 ½ inch Walleye. We look forward to seeing you and your father back soon.